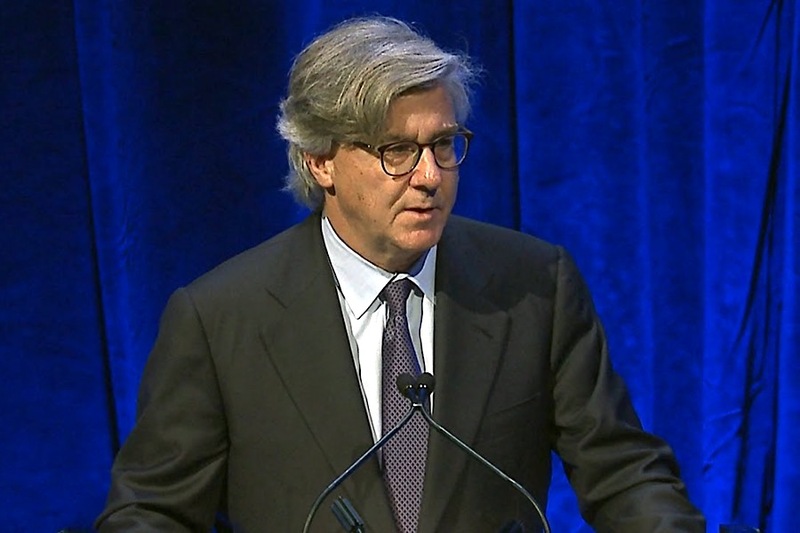 Barrick Gold Corp will eliminate the executive role of Chief Innovation Officer as part of a broad decentralization push, the company said on Wednesday, adding that it will continue to work on innovation and productivity improvements. Barrick did not officially announce the change, which follows work by CIO Michelle Ash to establish systems that support innovation work at the mine site, rather than the head office, a company spokesman said. "When operations are central to the innovation process, the implementation of new technologies and processes becomes faster and more successful," said Barrick spokesman Andy Lloyd. Barrick Chairman John Thornton advocates a lean, decentralized management model, shifting more power and decision-making to mine operators. In the second quarter, Barrick took a $28 million severance charge after cutting jobs and closing offices. It did not enumerate job losses, saying it aimed to reduce administrative roles through reassignments and job cuts to approximately 350 positions, from 780 at the end of 2017. Barrick created the Chief Innovation Officer role in 2016 to oversee strategy on long-term innovation to drive productivity, optimize research and development and determine opportunities for alternative business models. Ash will remain at Toronto-based Barrick until year-end, Lloyd said. The company will not make changes to the position of Chief Digital Officer, created last August, he added. That role, held by former GE executive Sham Chotai, is aimed at advancing the company's digital transformation.